Extra! Leading New York Publisher Spikes Book Dealing with Islam! Random House, a unit of Bertelsmann AG, has announced that is has canceled publication of a novel, The Jewel of Medina, by Sherry Jones, that was to be published on August 12. The novel concerns the child wife Aisha of the Islamic prophet Muhammad. Random House made no bones about its reasons in doing so, with Deputy Publisher Thomas Perry stating that Random House received "cautionary advice not only that the publication of this book might be offensive to some in the Muslim community, but also that it could incite acts of violence by a small, radical segment." Therefore, he went on, "In this instance we decided, after much deliberation, to postpone publication for the safety of the author, employees of Random House, booksellers and anyone else who would be involved in distribution and sale of the novel." Perry indicated that Jones is now free to shop her manuscript elsewhere. 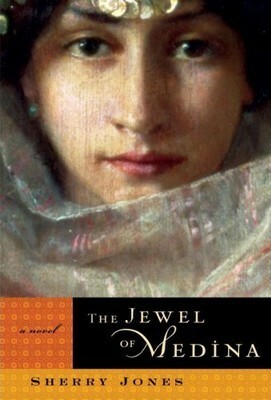 Random House's planned cover for Sherry Jones' "The Jewel of Medina." In April , Basic Books, which had published one of Mr. Pipes's three books on the Middle East, sent him a contract for the book, which it planned to publish next spring. George Craig, the chief executive of Harper & Row and Collins, said Mr. Kessler made the decision alone to cancel the Pipes contract after Harper's marketing department convinced him the book would not be profitable. Mr. Craig said the decision to cancel The Rushdie File was made by the Collins managing director, also on commercial grounds. Mr. Kessler did not return telephone calls yesterday or Monday. Mr. Craig denied that Harper & Row and Collins had any prohibition against books about Islam or the Rushdie incident. 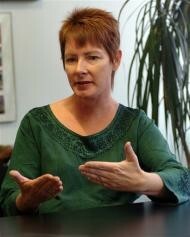 Sherry Jones, author of "Jewel of Medina."